Anaheim Fullerton Towing is the best choice for local towing services in Orange County. 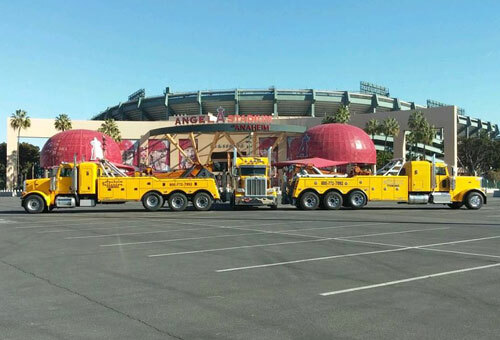 We are a full service towing company with over 60 years of experience and an excellent reputation with thousands of local motorists, city agencies, municipalities, trucking companies, fire and police departments, bus companies, and construction companies throughout nearby Anaheim, Fullerton, Santa Ana, Huntington Beach, Yorba Linda, Garden Grove, and Buena Park, as well as farther cities such as Long Beach, Los Angeles, Riverside, and Barstow. Our clients trust us to consistently provide fast, responsive service and efficient towing services 24 hours a day, 7 days week. In addition to local towing, we also offer long distance towing services, and are licensed by the Federal Motor Carrier Safety Administration for out of state travel. 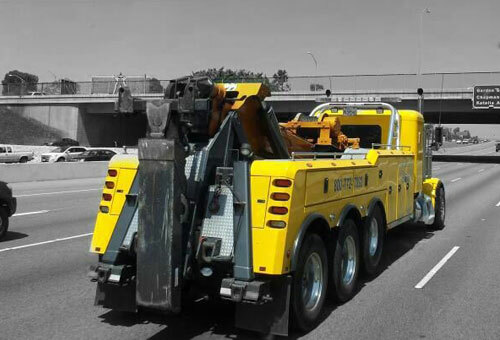 We are a member of the Towing & Recovery Association of America, and are the preferred tow truck company for City of Anaheim fleet vehicles. 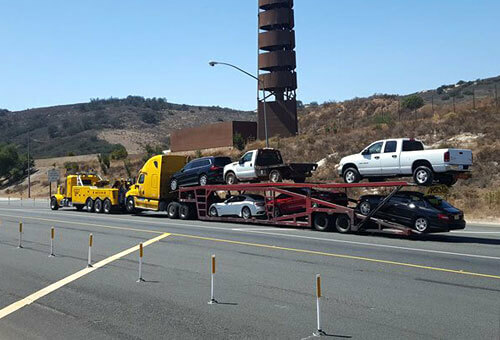 We also specialize in load shifts/cargo shifts for assistance at truck and commercial vehicle weigh stations throughout Southern California and even across Nevada or Arizona state lines. 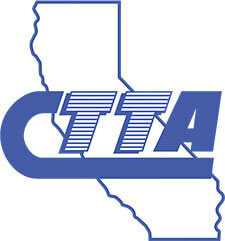 All of our drivers are certified by the California Tow Truck Association, and have between 8-25 years of hands-on experience each. With their exceptional safety record and specialized training, they are fully qualified to operate any tow truck, flatbed, heavy duty wrecker, or Landoll trailer in our extensive fleet of vehicles. 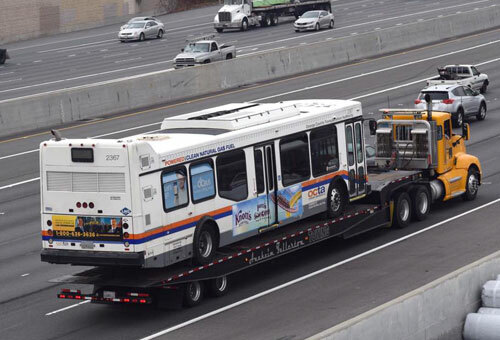 Whether you need to tow a disabled plumbing van from Anaheim to Costa Mesa, transport buses from Los Angeles to Barstow, or move heavy equipment between construction sites in the City of Orange, we have the skills and expertise to get the job done efficiently, safely, and to the highest industry standards. Our state-of-the-art tow trucks are equipped to handle any size towing job, from a one-time tow of an antique classic car, to regular commercial interstate towing for an entire trucking fleet. They are outfitted with advanced rigging such as high capacity rotators, low-angle loading for low clearance vehicles, and stepdeck trailers for efficient landoll loading and transport. In addition, we have access to specialized equipment that makes loading and unloading easier, such as security tie-downs, wheel lifts, and removable rails. As towing and recovery experts, we can provide reliable guidance on which of our many available options will work best for your needs. Give us a call today to speak to one of our friendly and knowledgeable operators. They can assist you in scheduling a pick-up and provide information and honest estimates on our commercial towing services available throughout all of Southern California, including Anaheim, Fullerton, Orange, Yorba Linda, Garden Grove, Buena Park, Tustin, Santa Ana, Costa Mesa, Newport Beach, Huntington Beach, Los Angeles, Long Beach, San Diego, Barstow, and surrounding areas. Our towing yard is open Monday through Friday 8am - 5pm, with after-hours releases available for an additional gate fee. Anaheim Fullerton Towing is fully licensed and insured. We offer reliable local towing services throughout Orange County. 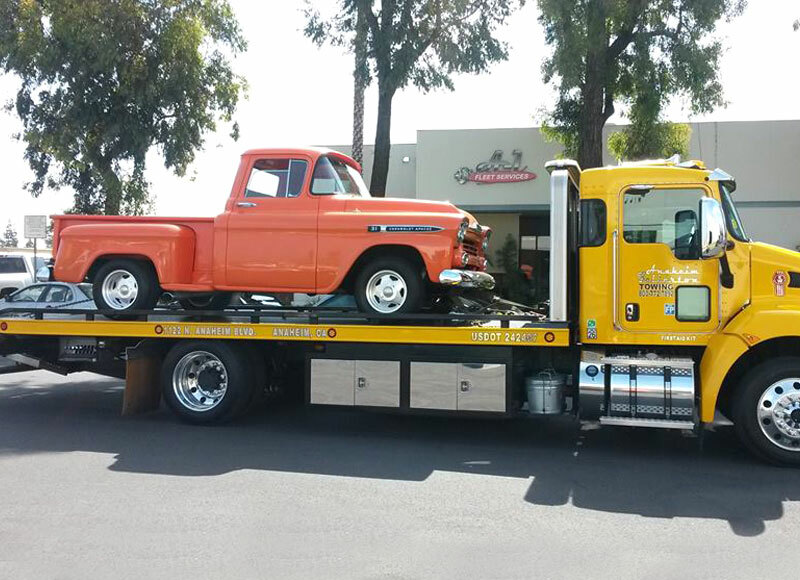 We used our flatbed truck to carefully transport this classic pickup truck to Orange, CA for some repairs.